A few months ago, I attended a food blogger event at the City Creek Harmons. They served a delicious non-alcoholic basil sangria. 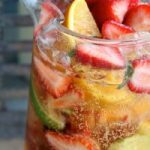 I loved the drink and thought it would be fun to recreate my own Fruit-Filled Virgin Sangria at home when fresh fruits were in season. Sangria is traditionally served in Spain and Portugal and made with wine, sweetener, fruit and a bit of brandy. I’m not a drinker, but love drinks made with fresh fruit. Last week, we watched the fireworks, soaked up the sunset and enjoyed a pitcher of this colorful drink from our patio. The kids and adults loved the fruit-filled pitcher. When it was empty, we just added more of the liquid base, mixed and enjoyed. This is a perfect addition to any summer party. It travels well- just take the cut up fruits, canned juice, soda and ice in a cooler and mix when the party starts. Hope you’re keeping cool this summer! Using a large glass pitcher, pour in half of the can of concentrate. Add half of a 2 liter bottle of Ginger Ale or Sprite. Add ice, about 2-3 cups. Mix a bit. Add chopped fruits and mint and stir lightly with large wood spoon. If needed add a bit of water. You may leave the spoon in the pitcher if you wish to help scoop out the fruit while serving. When the liquid is empty from the pitcher, simply add the remaining juice concentrate, ginger ale and more ice to the remaining fruit in pitcher. Stir and enjoy. You may also add more fruit if needed. -I used a white grape and peach blend but you can use any type of juice. I suggest white grape, pineapple, apple, grape, cranberry, peach, mango. The possibilities are endless.-Most instructions for Sangria will advise to let the mixture to sit in the fridge for at least two hours before serving. Since I was using a carbonated liquid (and I was short on time), I made it right before serving. Either way works fine.-If you would like the fruit to sit at the bottom of the pitcher, place the fruit in first, then the ice and the juice and carbonated beverage last. The weight of the ice will help the fruit to sit at the bottom instead of float on the top.-You may use any combo of fresh fruit in season. I liked the look of the orange and green and red together with a splash of dark green.-This recipe would also work well in a punch bowl. A great drink for a baby shower as well. thanks so much. Everyone at the party loved it…will definitely do this again. why don’t you have a pinterest icon in your share this section for me to pin this recipe?????????????????????????? it would help you out a lot to have a pinterest button there. i do not want to go to your pinterest boards and possibly look all day long until i finally find this drink recipe on one of your boards possibly all the way at the bottom. i do not like like facebook and Google+ is going to go away, i do not like twitter, it is to complicated, and In that is a word not a social media platform. 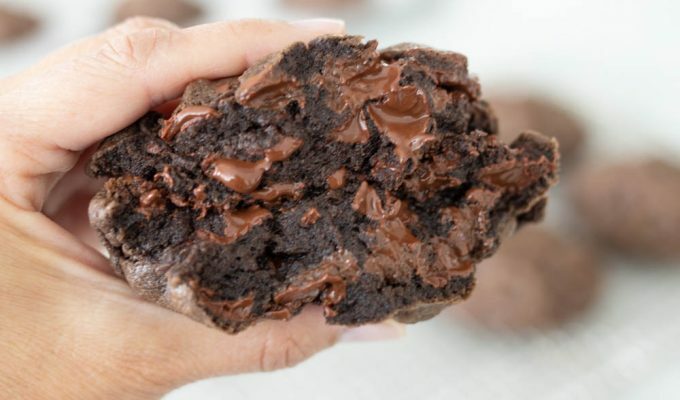 you need to be up to date with the times, by getting pinterest in your share this section for this recipe. so you won’t be so out of touch with the pinterest – pinning -from- different websites crowd which i am a part of. We do have Pinterest connected on all of our Abk posts. Maybe check to see if your Pinterest is signed in. When you hover over an image or press on an image, the PIN IT mint colored circle should appear. hope this helps!